A complete ID card system includes a printer, software, and supplies – if you’re new to ID card printing, that’s a lot of new equipment to learn about! Our technical support reps have put together hundreds of online support guides to help you become more comfortable with your new ID card system and get the most out of your card program. 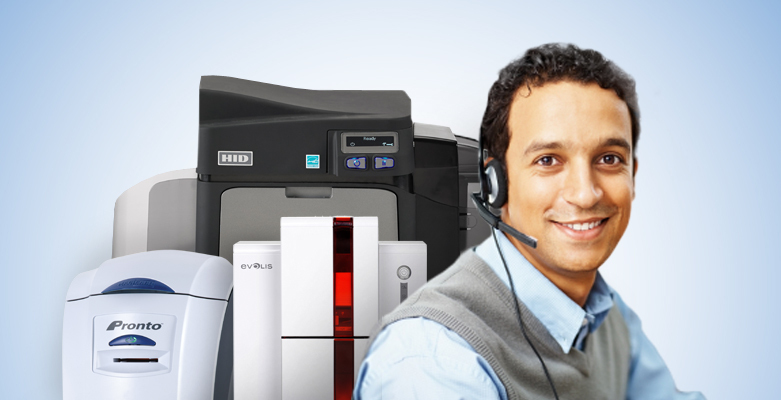 From setting up your printer for the first time, how to do dual-sided printing, how to load cards and ribbons, and fixing basic errors, the ID Card Printer Support section has step-by-step guides for printers from all the major manufacturers. Broken out by software type, our tech support experts have also created how to guides and helpful articles for all our AlphaCard software! Setting up your printer and software may take priority when you get a new ID card system but you should still know how to properly handle your supplies like cards, ribbons, and cleaning kits. You can also check out the General Printing Guides for help with topics like printing high quality cards or taking clear photos for photo ID.